Louisa Lindquist is the brains and passion behind her label Verdad Wine Cellars. At a young age, she worked at a prominent wine shop on Long Island where she was able to taste and learn about many different styles and varietals of wines. She became fascinated with the vibrant fresh flavors of Albariño wines from Rias Biaxes, as well as the bold and complex Tempranillo-based wines from Rioja and Ribera del Duero. We had the pleasure of sitting down with Louisa to learn more about what makes her wines so enjoyable and her personal story that influences her winemaking style. We think you’ll enjoy our April 2019 interview! A true visionary: Louisa was the first to release Albariño in all of California! In 1990 Loisa moved to California to work with a wine importer and distributor. A few years later she met her now husband and well-known Californian winemaker, Bob Lindquist. He encouraged her to follow her dreams and passion for making Spanish styled wines here in California. And she did! Louisa was the first to release Albariño in all of California. For the first vintages of Verdad Louisa made her wines under the tutelage of her renowned winemaker husband but as the years and harvests went by Louisa began to take the helm of all aspects of Verdad Wine Cellars. 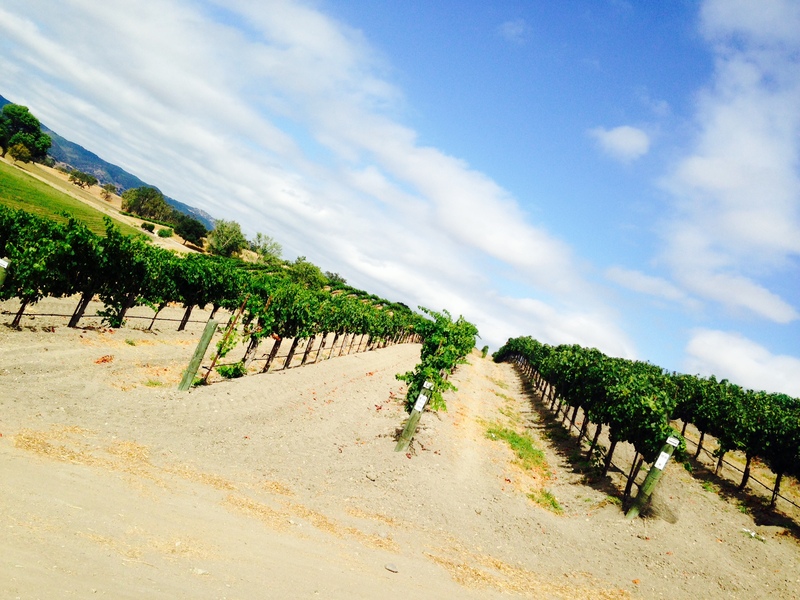 Most of the Verdad wines come from the Sawyer Lindquist Vineyard which is a Demeter-certified Biodynamic vineyard. Biodynamic is a form of alternative agriculture very similar to organic farming. The main difference between organic and biodynamic is that biodynamic farming uses different principles which add vitality to the plants, soil and/or livestock, whereas traditional farming typically deteriorates the soil. The certification process to become Demeter-certified Biodynamic is extremely rigorous and requires a level of commitment to sustainability that goes beyond organic. Louisa’s passion for making wines that express her love for Spanish varietals is expressed in every bottle that she produces. She strives to produce pure, expressive, and balanced wines that convey the flavors of the unique cool climate vineyard sites she sources from on the California Central Coast. We are pleased to have Louisa as our Featured Winemaker for all of April 2019! We will be featuring three of here truly amazing wines by the glass and 20% to take home by the bottle. Don’t miss a chance to taste the Spanish styled Verdad Wine Cellar wines! Stock up and Save! These three featured Verdad wines are 20% off through April only. At the Los Olivos Wine Merchant & Cafe we focus on providing a true wine country experience. Much of our produce for the Café we organically grow at our farm in Los Olivos. And our award-winning wine selection of over 500 mostly local wines compliments our fresh wine country cuisine. As a hub for the local California Central Coast wine scene, we love getting to know our local winemakers and sharing their stories with you. We welcome you to check out more of our interviews and blogs here. Sonja owns Casa Dumetz, a wine Haus in Los Alamos, California, about 50 minutes north of Santa Barbara. Under the umbrella of the Casa Dumetz label, she also produces the single-label brand, The Feminist Party and Clementine Carter, focusing on Rhône & Grenache wines (both are being poured and sold as our featured wines this month). “Making world peace one bottle at a time,” is the mantra that Sonja highlights on her website. A mantra she’s turned into a reality at her Los Alamos tasting room. Every Friday night, Sonja invites the public to join her as she opens the tasting room as a public forum, open to the free discussion of ideas, politics, wine, the environment, and other topics providing a neutral ground for cooperation and contemplation. Casa Dumetz started like many other Central Coast small-batch manufacturers as a single varietal label. Pinot Noir was the focus – the only label — but through the years Sonja slowly grew Casa Dumetz and was able to branch out from the safety of Pinot Noir and began exploring new varietals and terroir to work with. While today Los Alamos is starting to turn a big corner as a small but exquisite gastro-hub. However, when Sonja first opened her tasting room in the little farming town, frequently bypassed on the 101, Sonja was warned against it. “The idea was to really commit to winemaking and not be afraid of it,” says Sonja, who fortunately ignored the naysayers and opened the Los Alamos tasting room in 2011. Now others have followed suit and Los Alamos is on the map as another Santa Barbara Wine Country destination stop. Winemaker and Vineyard Manager, Erik Mallea of Mallea Wines has a remarkable talent for understanding the terroir of the vines he tends from which he creates his exquisite wines. As our featured winemaker for the month of January, Erik shared his foreseeable path to becoming a winemaker and the story behind his label. His love of farming took him to Oregon and New Zealand where he worked in viticulture and winemaking, but his fascination with fermentation began in his teen years back in his rural hometown in Minnesota with Chokecherries, apples, and oats. After receiving his Masters degree in Viticulture and Enology at Fresno State he came to Santa Barbara County in 2007 to pursue his career as a winemaker and vineyard manager. Currently managing vines for Sanford Winery and producing a stellar line up of wines for his and his wife, Amber’s, Mallea label. “Observant” was the word Erik gave when asked to describe the part of his personality that gets infused into his winemaking. Instead of approaching winemaking with a specific style, Erik treats each vineyard with a unique approach that requires him to be observant of the land and the process. Mallea wines are sourced from five vineyards that Erik maintains from the ground up. The thoughtful quality that can be tasted in every bottle can be experienced before the bottle is even opened. The coat of arms on the Mallea labels are a tribute to his father’s family coat of arms passed down from the Basque Country; the story behind this coat of arms takes you back into another time. If a wine label can influence the flavors and depths of character in a wine, either through it’s mere presence or the subtle feeling it evokes before sipping, then we suggest you listen to Part Two of our interview with Erik. The background story that makes up this coat of arms is inspiring and lives on not only in the Mallea family but also in the Basque region. 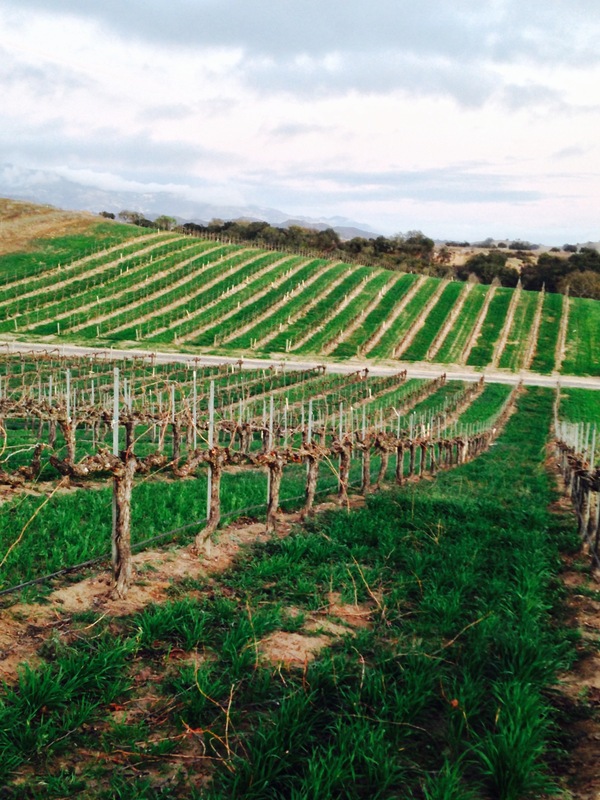 Learn more about local Santa Barbara County winemakers at our blog here! Blair Fox, of Blair Fox Cellars, is a Santa Barbara native who found the passion for wine and viticulture in his own backyard. Blair began attending UC Davis as a pre-med student, before transitioning into fermentation science for brewing. Due to uncontrollable circumstances he had to switch a class last minute, and Blair stumbled into his first viticulture course, which marked the moment he fell in love with the grape growing side of the industry. At first he thought he would solely be a grape grower, but once he realized that he would have to relinquish the grapes to someone else to turn into wine, he knew he wanted to have his hands in that side as well. The focus for Blair Fox Cellars is on Syrah and other Rhone varieties. The estate vineyard, planted by Blair himself and farmed organically, has Grenache, Syrah, Petite Syrah, Vermentino, and a small amount of Zinfandel planted. Blair feels it is very important to be part of the grape growing process as a winemaker. He enjoys being able to control the wine from vine to glass, not only in his estate vineyards but the ones he sources fruit from as well. Looking for grapes with beautiful concentration and intense varietal character, he currently sources grapes from Zotovich, Kimsey, Tierra Alta, Larner, and his own Fox Family Vineyards. 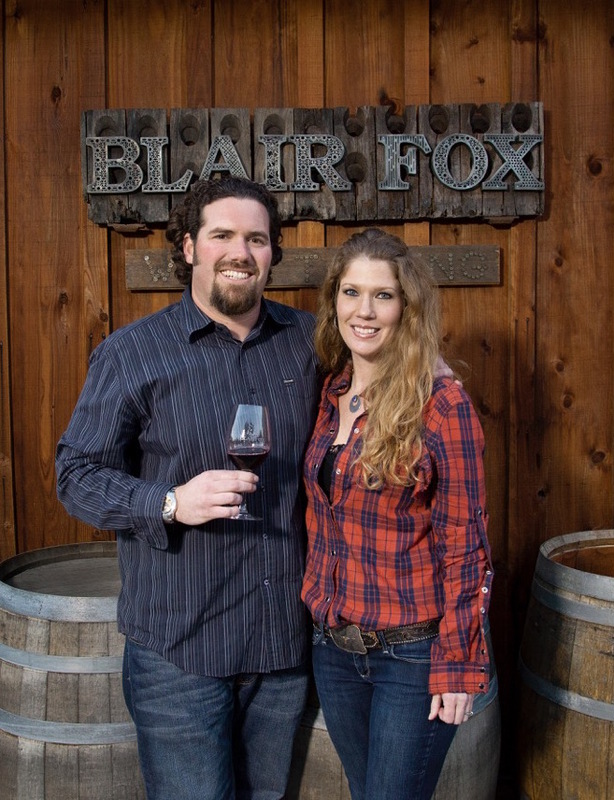 Blair and his family take pride in the creation of the small production wines for Blair Fox Cellars. While Blair manages the winemaking, Sarah does the marketing. 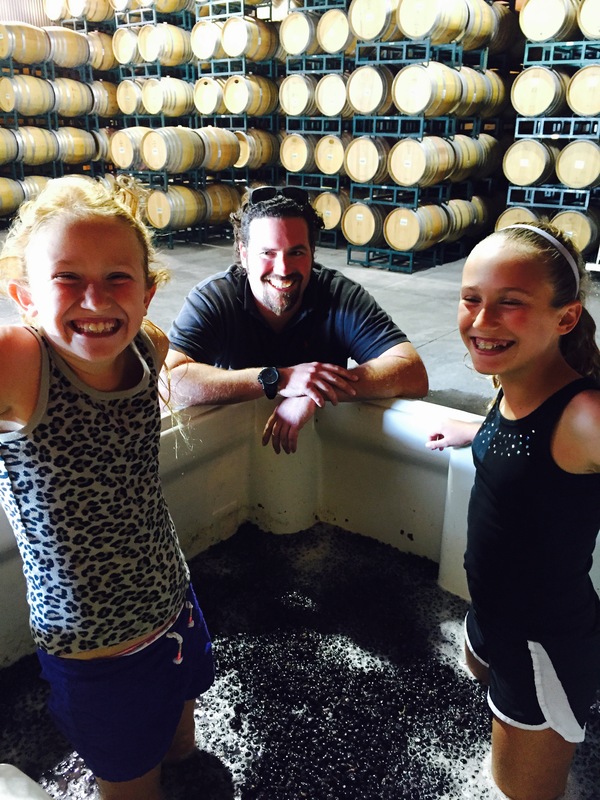 His two adorable daughters love riding on the forklift and helping with Pigeage – foot stomping the grape cap! The grapes are hand harvested, hand sorted, fermented in small lots, and basket pressed to ensure the highest possible quality and true expression of the vineyard. The results of this family’s hard work are wines with a modern feel, while showing a reflection of historically made French wines. 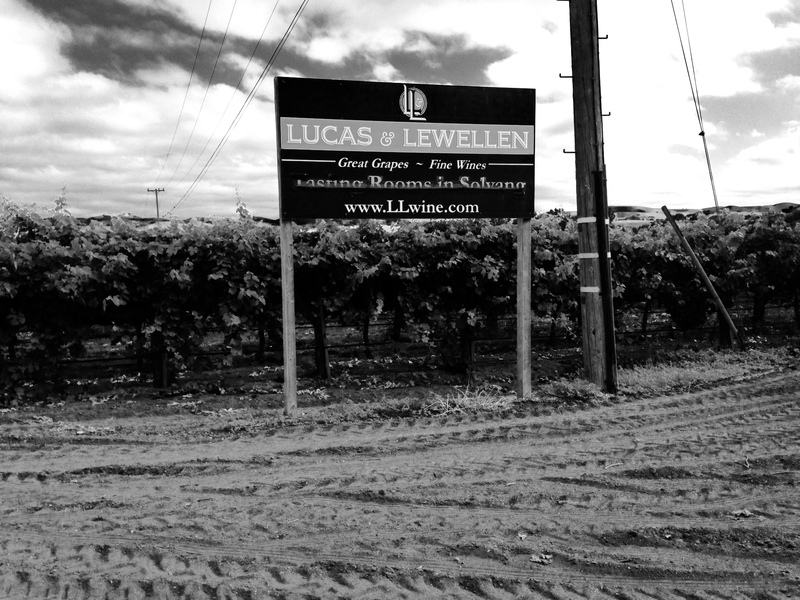 Learn more about fabulous local winemakers at in our Featured Winemaker series. In the past decade, Santa Barbara County has exploded with AVAs, and rightfully so. As we’ve tasted the wines and analyzed the nuances of soil and climate throughout our region, we have begun to carve out special sub-regions of note that have a distinctive voice. In addition to our early AVAs of Santa Maria Valley (est. 1981) and Santa Ynez Valley (est. 1983), we have Sta. Rita Hills (est. 2001), Happy Canyon of Santa Barbara (est. 2009), Ballard Canyon (est. 2013) and the pending Los Olivos District (likely to be established by 2015). 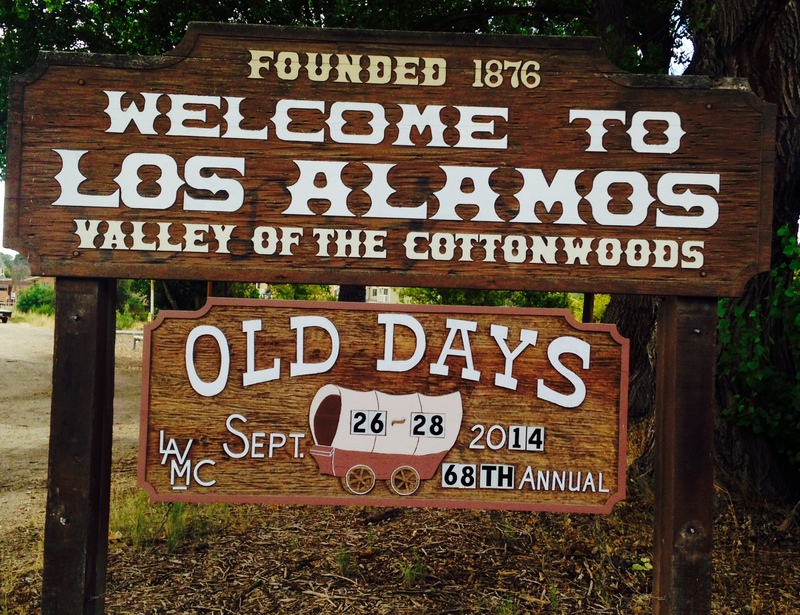 Yet one of the County’s most historic regions remains without a designation of any kind: the Los Alamos Valley. This past week I spoke with numerous winemakers and farmers who have worked over the years with Los Alamos Valley fruit to hear their thoughts on the site character of Los Alamos, its various subzones, and the idea of an AVA. 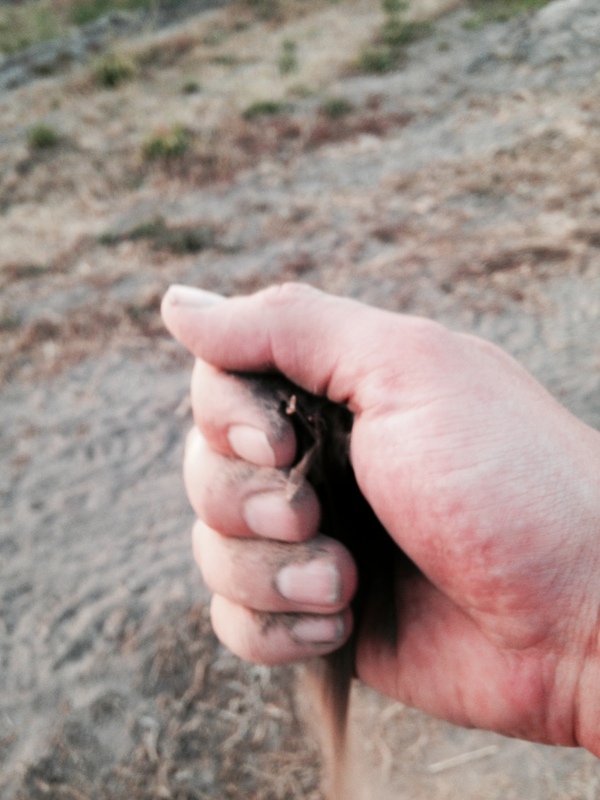 When researching a region, I always start with soil; my love lies in the dirt. Los Alamos, like most great regions, has a wealth of exciting soils. Shale, clay, sand, gravel, sandstone, and a bit of limestone can be found in various pockets. This variability within the region has led some to suggest that rather than a single AVA, the area should be broken down into several smaller AVAs. “I do think it would have to be broken down for it to be true to definition, and that in itself might make it less feasible or practical to do so,” says Seth Kunin of Kunin Wines. There is also a notable difference in temperature between the valley’s west end near Vandenberg Air Force Base, which can be quite chilly, and the eastern end near Alisos Canyon, where things heat up. Broadly speaking, Los Alamos Valley is 10 degrees cooler on average than Santa Ynez Valley, and 10 degrees warmer than Santa Maria, though again, there are more subtle nuances from east to west. As a result of these variations in soil and climate, it is difficult to pinpoint a single variety for the region to hang its hat on. Much like Santa Maria to its north or Santa Ynez to its south, Los Alamos has a multitude of varietal voices that express this place. 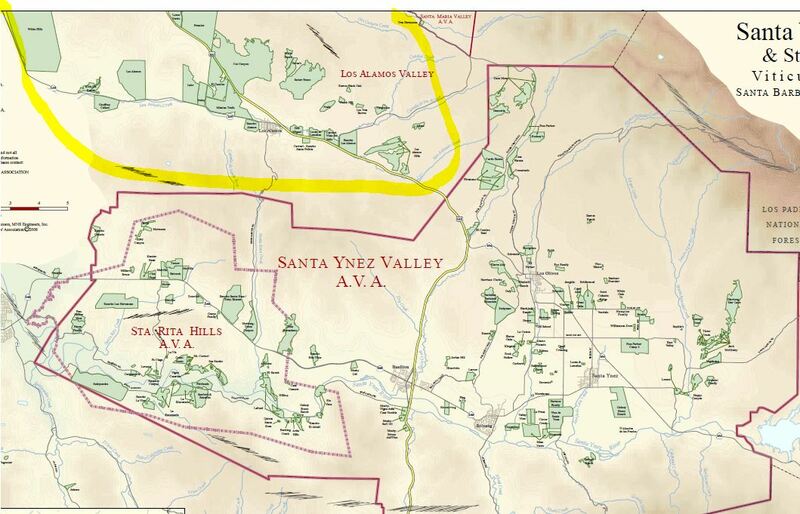 Starting in the east, near the northern boundary of the Santa Ynez Valley AVA, we find perhaps the area’s most acclaimed sub-region: Alisos Canyon. Running east of Highway 101 along Alisos Canyon Road, this area is paradise for Rhone varieties, though Cabernet Franc and Gamay also have potential. The canyon is home to the famed Thompson Vineyard, which has produced legendary Syrahs for 20 years. 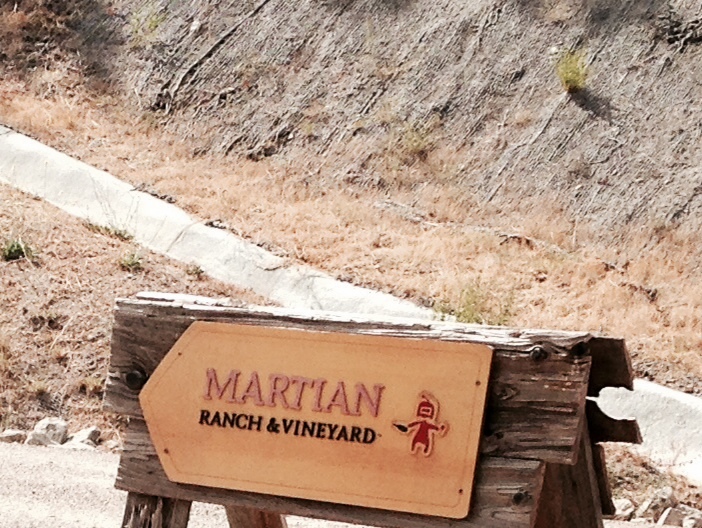 Newer sites, such as Martian Ranch, Watch Hill, and The Third Twin, show equal promise. Despite being a very small region, Alisos Canyon is defined by several different soils, all of which have either sandstone or shale in their parent material. In the southeast, at Martian and Alisos, there is Chamise shaly and sandy loam. This acidic shale seems to imbue the wines, Syrah in particular, with brightness and lift even at higher sugars/alcohols. 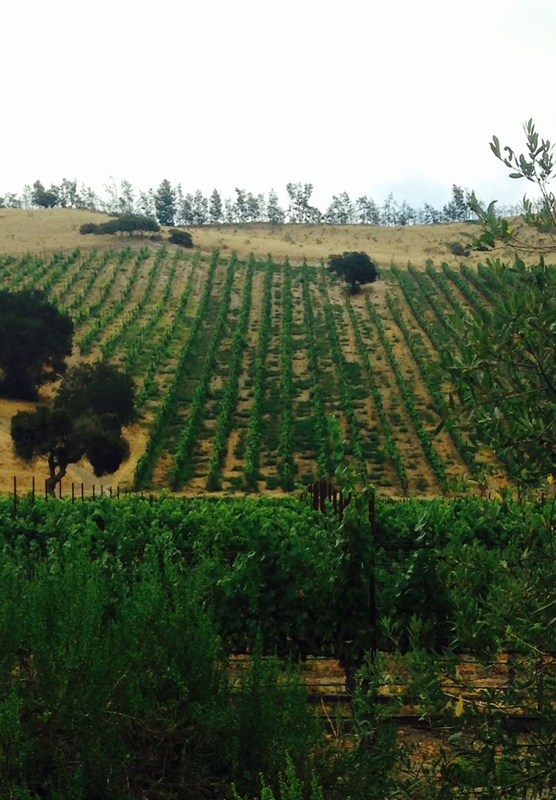 Across the road, at Thompson, is Tierra Sandy Loam, an alluvial soil providing more textural breadth in the wines. The Third Twin (formerly Los Tres Burros), Sine Qua Non’s site above Thompson, shifts into San Andreas-Tierra Complex, a much sandier, sandstone-derived soil. As we shift toward the mouth of the canyon, particularly at Watch Hill, we see very sandy Arnold series soils, making this prime real estate for Grenache in particular. Moving just north of Alisos Canyon, before the town of Los Alamos, we head into the Los Alamos flats along Highway 101. Lucas & Lewellen owns most of the land here, and has long advocated for the potential of Los Alamos. Their vineyards contain a wealth of interesting grape varieties, 20 in all, ranging from Nebbiolo and Freisa to Dolcetto and Malvasia Bianca, functioning as a great window into what unexpected grapes may potentially shine in Los Alamos. 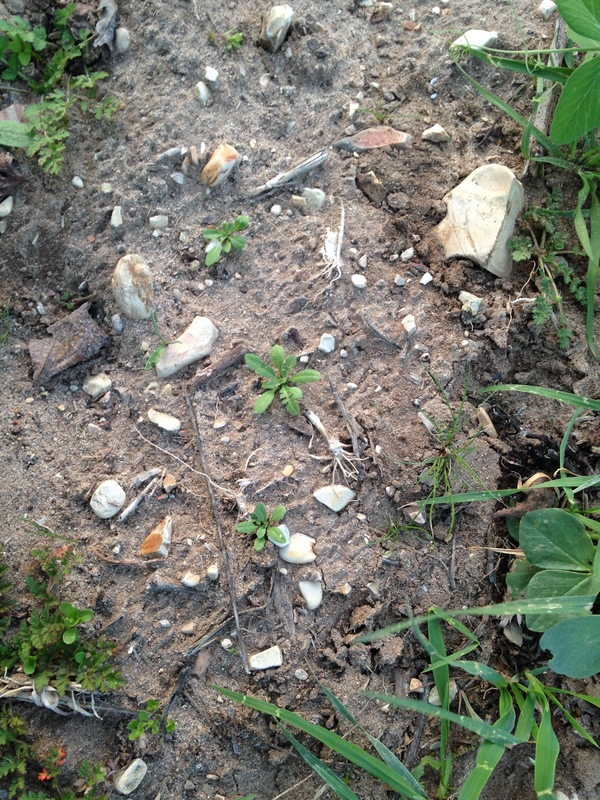 Soil here is alluvial, mostly Botella series (also prominently found in the southern Sta. Rita Hills). As we continue up Highway 101, past the town of Los Alamos, we start to get into bigger plantings, often owned by larger companies such as Beringer, Kendall-Jackson, and Sutter Home. 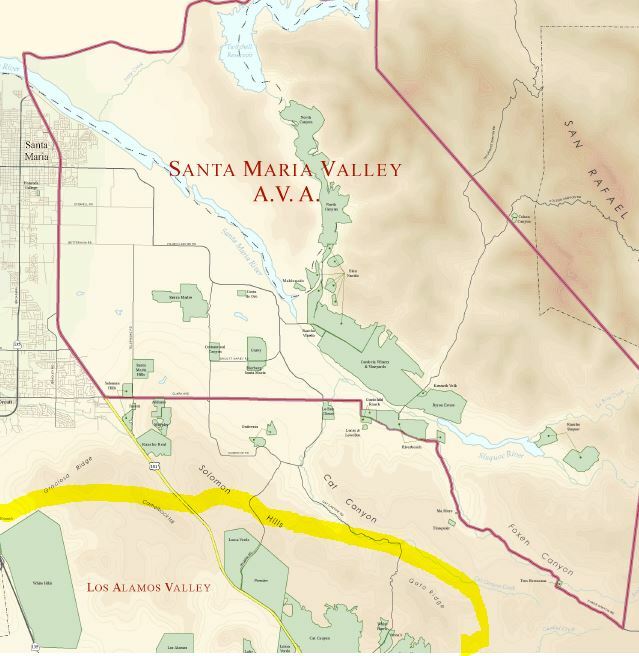 This could go some ways toward explaining the lack of an AVA for Los Alamos Valley: these larger labels often blend the wines into Central Coast or even North Coast designated wines, rarely vineyard-designating or even putting Santa Barbara County on the label. “With so many large producers/growers in the area, there hasn’t been the grassroots inertia to garner the acclaim, promote the region or gather data for an AVA application,” explains Kunin. Cat Canyon is the next area of note, located in the northern Los Alamos Valley, just east of Highway 101. While there are still some bigger corporate plantings, there are also two of the valley’s most noted sites: Verna’s and White Hawk. Verna’s Vineyard, owned by the Melville family, has served as the source for their more affordable Pinot Noirs, Chardonnays, and Syrahs. These are some of the top values in California today, particularly the Pinot Noir, driven by a purity of place and a strong core of hard spice. Jaffurs also produces a superb Syrah from Verna’s; to taste it next to their Thompson bottling is a great illustration of the large difference in site character between Alisos Canyon and Cat Canyon. 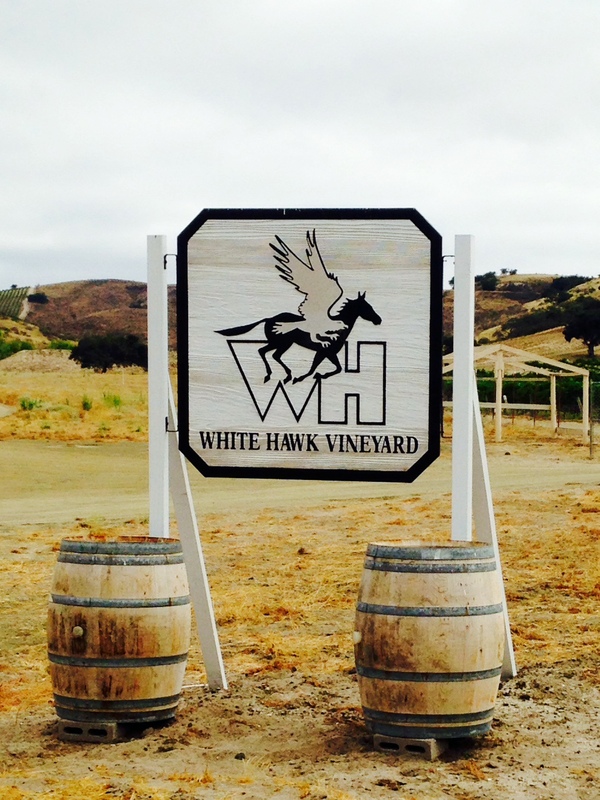 Across the street from Verna’s is White Hawk, a lauded source for Syrah. Sine Qua Non’s Manfred Krankl has utilized this site for many years, and it is one of only two non-estate vineyards he continues to work with, while his protégé Maggie Harrison incorporates it into her flagship Syrah for her Lillian label. Ojai’s White Hawk Syrah shows wonderful restraint, with great structure, purity and spice. Viognier is promising from both sites as well, and Ojai recently produced a beautiful Sangiovese from White Hawk. The final region of note is the valley’s far western edge along Highway 135, not far from Vandenberg Air Force Base. As a resident of this part of Los Alamos, I can attest that it is very cold, very foggy, and very windy. Again, there are some bigger/more corporate plantings to be found here, though the quality remains high, particularly in cool climate whites from the large White Hills property, one of the coldest, westernmost vineyards in Santa Barbara County. The two star sites, however, are Kick On Ranch and Los Alamos Vineyard. Kick On Ranch has garnered the most acclaim for, of all things, Riesling. This should not come as a surprise given the early success of Santa Maria and Sta. Rita Hills with Riesling and Gewurztraminer. Economics forced those areas to focus on Chardonnay and Pinot Noir, but these varieties remain and thrive in Los Alamos. Graham Tatomer was one of the first to latch on to this site for his Riesling-focused label, with his single-vineyard bottling a top example of the austere minerality to be found at Kick On. 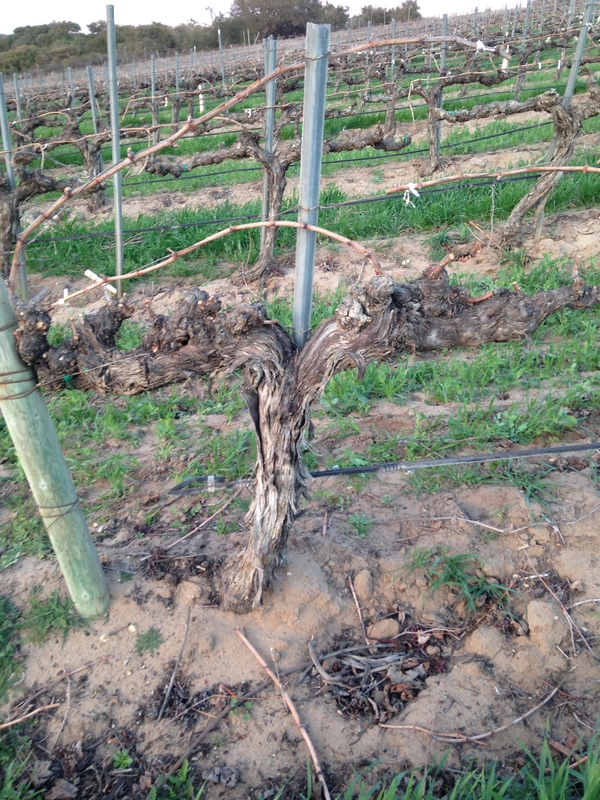 He has also recently planted Gruner Veltliner, a variety that should show great results here. Ojai’s Adam Tolmach has also been making beautiful Riesling, as well as Pinot Noir, from the vineyard. J. Brix are crafting gorgeous examples of Kick On across the varietal spectrum, including Riesling, Pinot Gris, and Pinot Noir in several different iterations (their Petillant Naturel Riesling is one of the top methode ancestrale sparklers I’ve tasted from California). 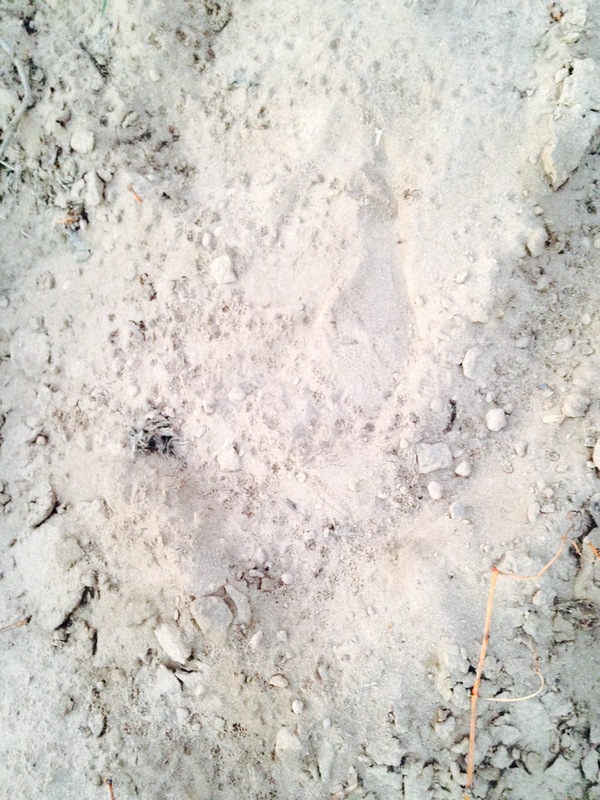 Soil in this part of the valley is quite sandy, consisting of Arnold, Corralitos, Betteravia, and Tierra series. 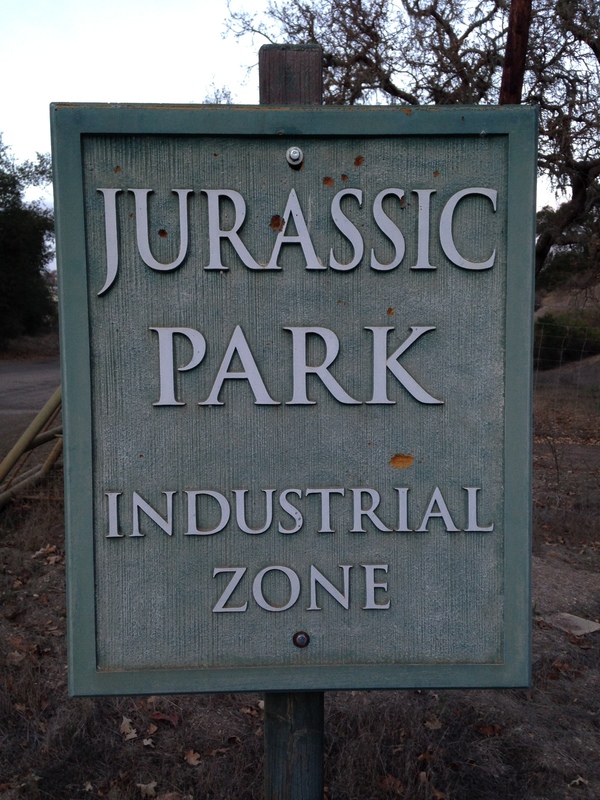 In Kick-On’s upper blocks, however, one finds fossils and large pieces of sandstone and shale. 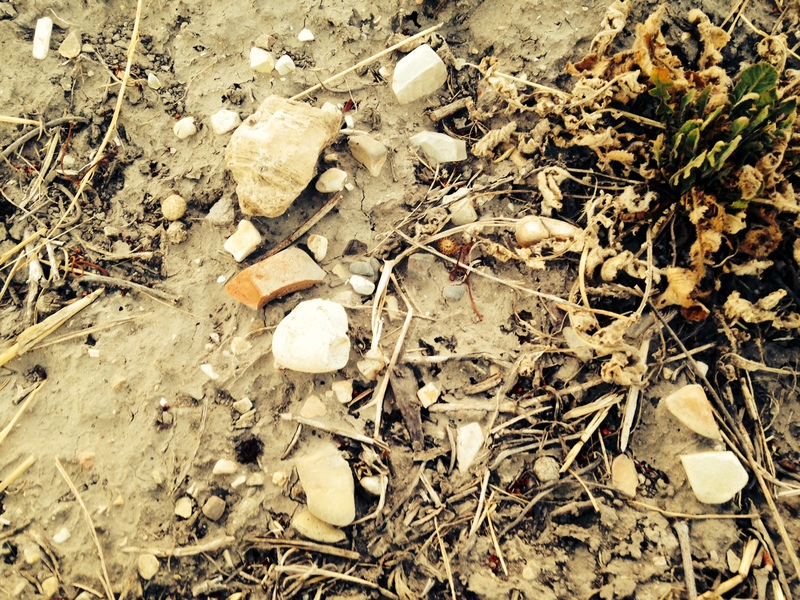 “The ancient-beach soil is mesmerizing,” says Emily Towe of J. Brix. “We can’t walk Kick On without stopping over and over to pick up shells, stones, fossils. It’s a whisper of history from when it was the bottom of the sea, long before it became the Valley of the Cottonwoods. The vines get to live in both worlds, in a way.” The minerality in the whites here is amazing, with intensity rarely found outside of Europe’s chilliest climes. Pinot Noir showcases an intriguing herbal side, with tomato leaf and root vegetable notes, along with dark fruit and spice highlights that are distinct from Sta. Rita Hills or Santa Maria. 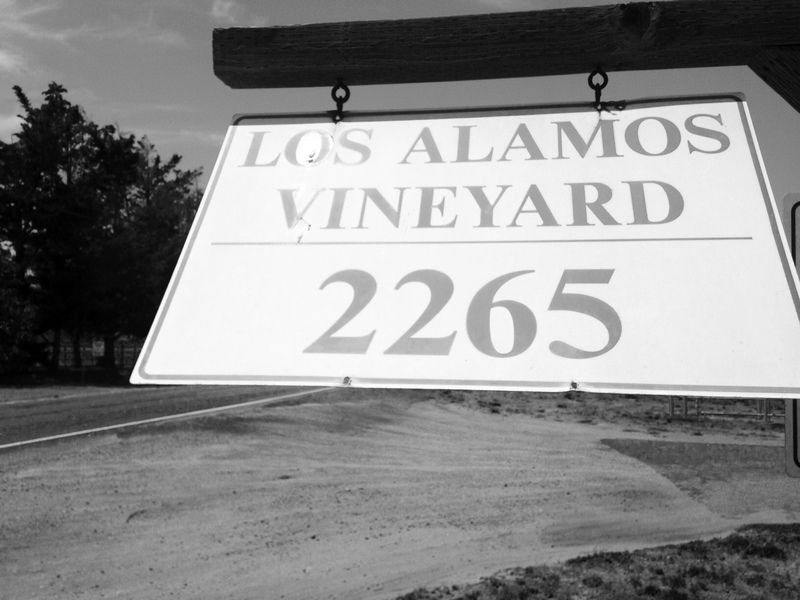 The other site of note is the legendary Los Alamos Vineyard. Ojai’s Adam Tolmach and Au Bon Climat’s Jim Clendenen operated from a barn on the property here in their earliest days. Gavin Chanin, who is now producing stunning Chardonnay and Pinot Noir from the vineyard, also has fond memories of his early time here. “During my first harvest in Santa Barbara I lived next door to Los Alamos vineyard in a bunk house, and we used to drink beer and watch them night harvest with huge flood lights,” recalls Chanin. “It’s got a lot of nostalgia for me.” Los Alamos Vineyard, like its neighbors in this part of the Valley, is quite sandy, with steep slopes and incredible exposures. Chardonnay exhibits an intense, almost searing minerality, with fruit playing a background role. These are not wines defined by aromatic intensity; rather, they are almost entirely about texture and mineral presence, in a fashion not found elsewhere in California. The Pinots exhibit a similar herbaceousness as that found in Kick On. “Los Alamos Vineyard is very unique,” says Chanin. “The wines are rich but held together with great acidity, freshness and minerality. It is my most coastal vineyard but also our warmest because Los Alamos is somewhat cut off from the ocean.” To taste the wines from Chanin, or Au Bon Climat through their “Historic Vineyard Series” bottlings, is a revelation: they are unlike any other Pinot Noir or Chardonnay from Santa Barbara County. These are site-driven, beautifully balanced wines that speak loudly of their origins. A good wine captures its vineyard. A great wine captures its vineyard AND the personality of its winemaker. When I think of the wines that have inspired me- Didier Dagueneau’s various expressions of Pouilly-Fumé, Soldera’s Brunello, the Cabernet Sauvignon of Bob Travers at Mayacamas- I think of them not only as the essence of the place they grow, but as an encapsulation of their creators. To that list I would add Angela Osborne of A Tribute to Grace. She puts her heart and soul into every bottle, and one can sense her presence in the glass, a feminine, ethereal, joyful rendering of site and self. I spoke with her this week about her new spring release and the character that makes these wines so distinctive. Cynicism is impossible around Angela Osborne. She radiates such positive energy that even when she discusses the more esoteric aspects of her winemaking philosophy or her views on farming, there is such genuine belief and lack of artifice that one can’t help but be compelled. Take the hummingbirds that grace the corks of her current vintage. “The Chumash believe the hummingbird represents the grandmother energy, and both of my grandmothers became angels last year, so now they watch over all the bottles of Grace,” says Osborne. 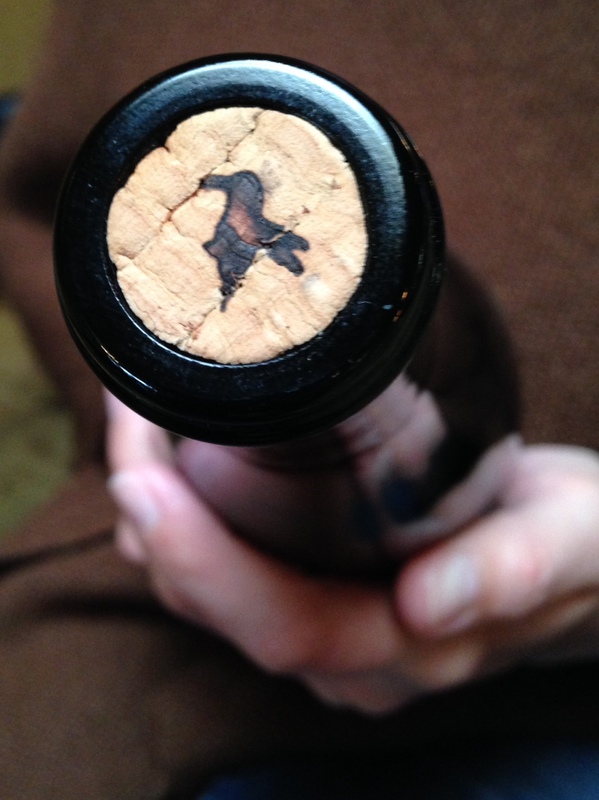 “There were 13,776 hummingbirds that came into the world this vintage, which was really powerful for me.” It is these little details- imbuing something as mundane as a cork with so much love- that make her wines stand out. 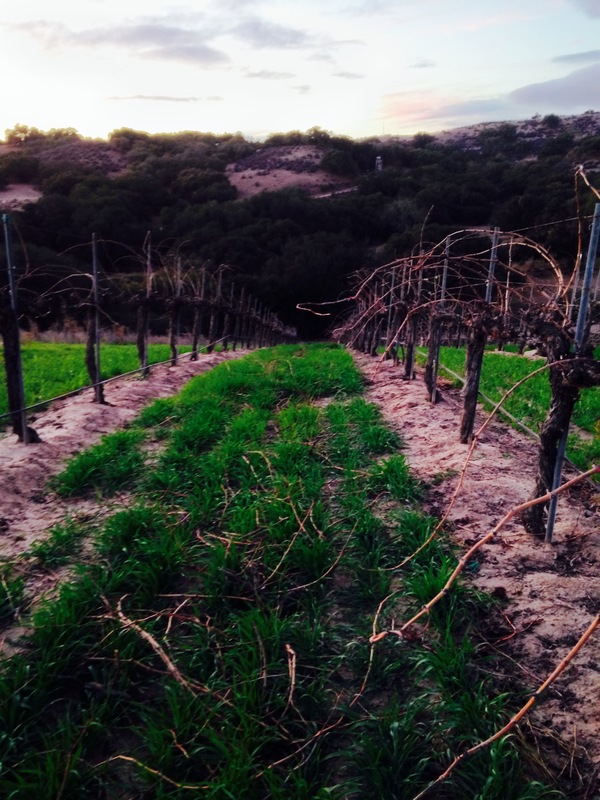 The Highlands that she speaks of is the Santa Barbara Highlands Vineyard. It is a site so perfectly suited to Osborne’s style, and her chosen medium of Grenache, that it’s difficult to imagine her without the Highlands and vice versa. Located on the eastern edge of Santa Barbara County, in Ventucopa, this lunar-looking site is one of the most unique in California. “It doesn’t really feel of this world. It’s very moon like. Kind of silences you a bit,” says Osborne. At 3200 feet elevation, and subject to an extreme continental climate, it is separated into two sections: the valley floor and the Mesa. Angela’s single vineyard Grenache has typically been a mix of both, but with 2012, she has shifted to utilizing entirely Mesa fruit, with the valley floor being used for rosé and her Santa Barbara County blend. While the valley floor is very sandy, the soils of the mesa are loamier, and, more importantly, laced with igneous rocks- basalt, quartz, gneiss, and granite- making for soil conditions that are singular within Santa Barbara County. The future for A Tribute to Grace is wide open. The Osborne clan is hoping to eventually split their time between Santa Barbara County and Angela’s home country, New Zealand, working two harvests a year, having a small patch of land to call their own, and raising a family. It’s a goal that, like the wines of A Tribute to Grace, is beautiful and true.